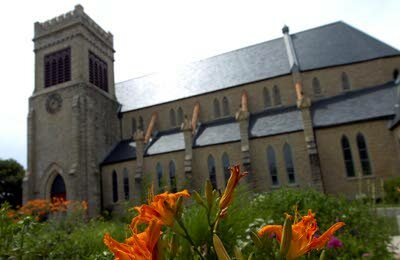 St. Matthew’s has called worshipers by the use of a bell since 1843. A 350-pound bell, which was made by the Holbrook Foundry in Massachusetts, is still in the church tower and is rung on Sunday mornings. It was the first bell in the city of Southport and it was only the third bell in the Northwest Territory. When the bell was first placed in St. Matthew’s tower, the town members rang it continuously for 24 hours. The congregation added three more bells, along with the Seth Thomas Tower Clock in 1894. The bells were cast by the Menelly Foundry, also in New York, and weighed 550, 250 and 150 pounds, and were attached to the clock. They ring on the hour and quarter hour. 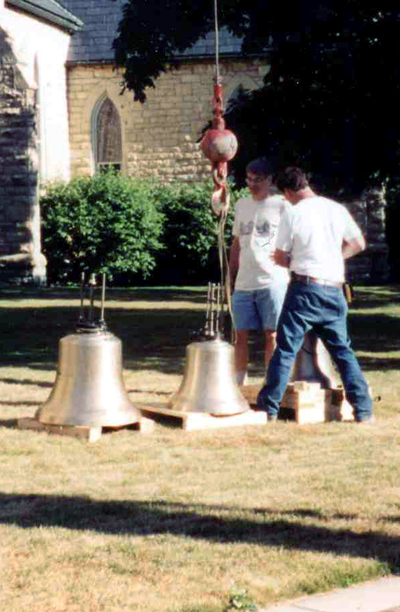 Beginning in 1994, fourteen bells were added to the church tower making up a choir of bells. On a keyboard we have one octave of notes with one sharp and flat. The bells were cast in Holland and bear the names of those memorialized by the bells. The bells are played electronically, either by a keyboard or computer.